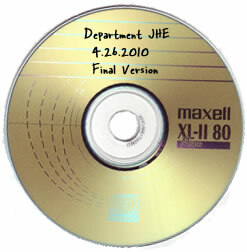 Stop using that branded CD-R advertising Maxell or any other manufacturers Give yourself the exposure that you deserve by having pre printed CD-R�s. 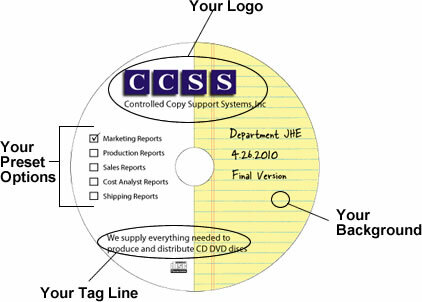 With your own pre printed CD-R�s you will have a professional presentation that will lift you above your competition, allowing you to win more bids. As you can see what a dramatic difference it makes when you present a branded CD-R and a custom pre printed CD-R to a client. Which one would you like to receive? 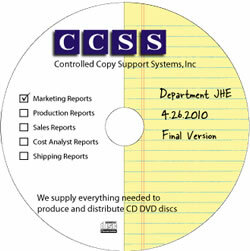 You have total control over the art used on your pre printed CD-R�s. We use a CYMK system that allows a great range of colors. The printing is smudge proof and water proof. What format should the art be submitted in? For CD printing jobs please lay out your art to fit within these simple sizes CD print area. We prefer you use one of the following software packages, Adobe Illustrator, Photoshop, or PDF that has been saved to outlines are a few of the accepted formats. Alternately, given a logo and text we can design a simple but suitable layout for $25.